Ferrous Processing & Trading is now one of the premier scrap metal management companies in the United States. Ferrous Processing & Trading is proud to announce that they serve a wide array of customers from industrial manufacturers to private individuals with a leading team of scrap metal processors and service managers. 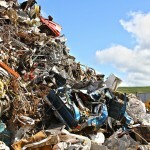 The scrap metal recycling company is one of the premier processors in North America. The company recycles scrap metal of all kinds and helps set the standard for scrap metal recycling companies throughout the country. FPT has built a reputation of integrity, responsiveness, and expertise in scrap metal recycling. Experienced professionals are available to work with clients of all sizes from massive auto shredding operations and specialty steel making and foundry products to non-ferrous processing and industrial scrap management for large and small companies and private sellers. In recent years, Ferrous Processing & Trading has become a key supplier to the North American metals industry as well as the major scrap metal manager for the nation’s auto industry.